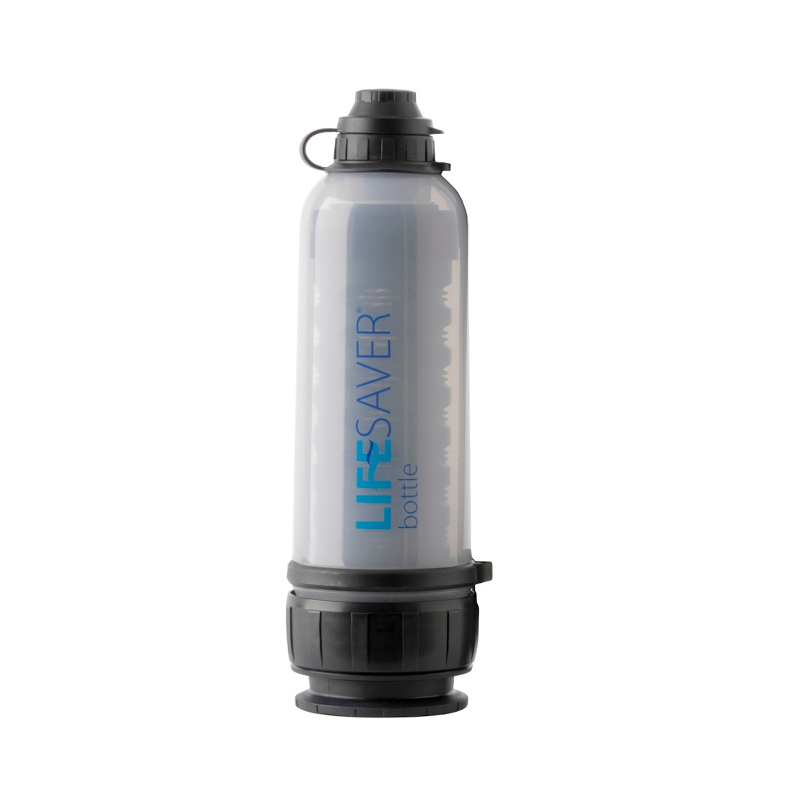 The LIFESAVER 4000UF Bottle - 4000L of Clean, Sterile Drinking Water! Used and recognised globally, the LIFESAVER 4000UF bottle was the first LIFESAVER product to be invented by Michael Pritchard, Inventor-Founder. The LIFESAVER bottle is simple to use after priming - just Fill, Pump, Drink. For more details see performance data. The LIFESAVER® bottle is the World’s first water bottle to remove all bacteria, viruses, cysts, parasites, fungi and all other microbiological waterborne pathogens without the aid of any foul tasting chemicals like iodine or chlorine or the need for any power or UV light. 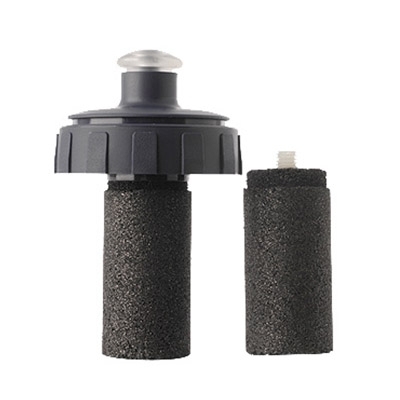 LIFESAVER® technology filters down to 15 nanometres, that is 0.015microns. 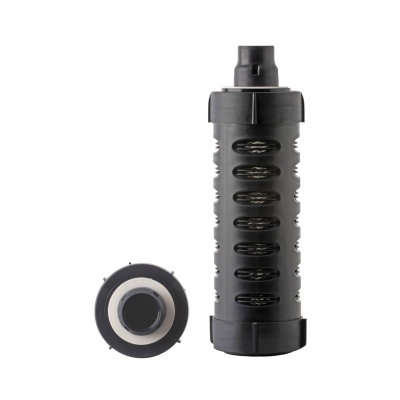 We are the world's first and only portable technology that is patented worldwide, to filter down to this level. 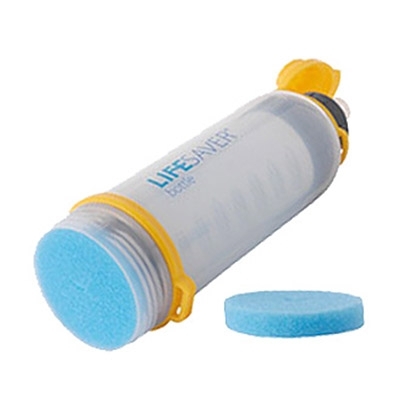 With the smallest virus known being Polio at 25 nanometers, you are safe in the knowledge that LIFESAVER® filters all bacteria, viruses, cysts and all waterborne pathogens from your water. The LIFESAVER® bottle 4000UF is used by Military customers all over the world, with over 30,000 in active service since 2007. LIFESAVER® complies with all British, US and European Drinking Water Regulations for Microbiological Reduction as tested and certified by the London school of Hygiene & Tropical Medicine. 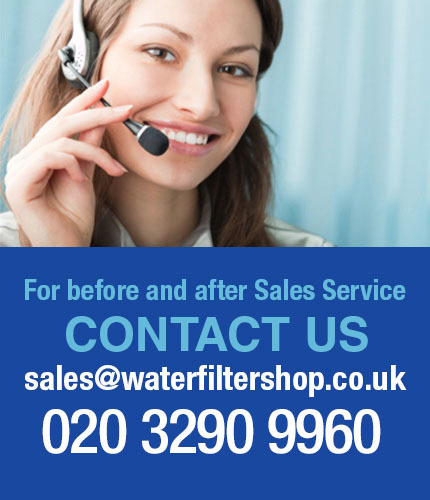 The LIFESAVER® bottle is fitted with a replaceable cartridge, with a service rating of up to 6000 litres of water. To find out more about its performance information, please see performance data here.